On 26 February, I chaired a discussion at Chatham House in London on human rights impact assessments (HRIA) of trade agreements. The basis for the discussion was a report authored by Dr. Jennifer Zerk, Chatham House Associate Fellow in the International Law Programme. This important report very usefully outlines the substantial challenges of carrying out HRIAs of whole trade agreements in a manner that yields useful data that can convincingly help policymakers design trade agreements that embed respect for human rights and protect the most vulnerable members of society. Despite the thrust of the report, which was demonstrating the weaknesses in using HRIAs for whole trade agreements, Dr. James Harrison of the University of Warwick School of Law provided several examples of successful HRIAs where they have helped policymakers understand the impacts of trade provisions. However, as he clearly pointed out, those successful assessments have all been carried out in very specific contexts regarding either one set of trade provisions or a specific government measure. Additionally, successful HRIAs have often looked at a subset of human rights issues over time. Richard James, the Evaluation Co-ordinator for the Directorate-General for Trade of the European Commission, described the evolution in the thinking at the Commission and some ways forward to improve the actual impact of the assessments being carried out. As of yet, however, there seems to be little evidence that the results of the impact assessments being carried out at EU level have directly influenced the formulation of trade policy. On 26, 27 and 28 November 2018, almost 3,000 participants from government, business, civil society, UN bodies, trade unions, academia and the media, gathered in Geneva at the seventh edition of the UN Forum on Business and Human Rights to discuss trends, challenges and progress in advancing implementation of the UN Guiding Principles on Business and Human Rights (UNGPs). The emphasis of the Forum for 2018 “Business respect for human rights – building on what works” was the second pillar of the UNGPs, that is the corporate responsibility to respect human rights. The Forum focused on the requirement that companies exercise human rights due diligence to prevent adverse impacts on people, hosting discussions of emerging practices in different sectors and across value chains, and exploring what human rights due diligence implies in relation to specific human rights risks and impacts. Andrea Saldarriaga and Andrea Shemberg, Visiting Fellows at the Laboratory for Advanced Research on the Global Economy, actively contributed to the Forum by organising and speaking in three sessions covering cutting-edge topics on the business and human rights agenda. Responsible exit: As the sole speaker at the snapshot session “Exiting responsibly: respect for human rights in circumstances of urgent exit”, Andrea Saldarriaga used a short video produced with the Iran Business Responsibility Project (IBR) to highlight the importance for companies to address the impacts that leaving a market and reducing or winding up operations can have on people’s rights. While the business and human rights debate has been focused on key corporate decisions such as market entry, new investments or the launching of new products or services, less attention has been given to questions of sales and market exit – especially in circumstances of urgent exit. Can companies do business with Israeli settlements in Occupied Palestinian Territory while respecting human rights? If so, what are the criteria for judging whether they are doing so? Please join us for a public event to discuss these questions and deepen our understanding of business and human rights in occupied territories. 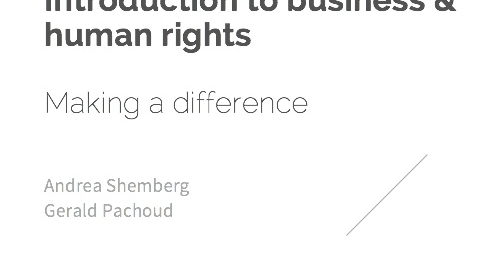 On October 9 Andrea Shemberg, Visiting Fellow at Laboratory for Advanced Research on the Global Economy, held a one-day training for journalists on business and human rights at the LSE. The objective of the training was to interest journalists in the subject matter, give them a basis of key concepts from which to work and help them identify where they can turn for research and expertise. Nine journalists attended the training. On 20 and 21 September the UN Office of the High Commissioner for Human Rights (OHCHR) hosted an expert meeting to help set out the scope and methodology for the third phase of the Accountability and Remedy Project (ARP), which is focused on non-State-based grievance mechanisms (i.e. company-level and other third-party grievance mechanisms). 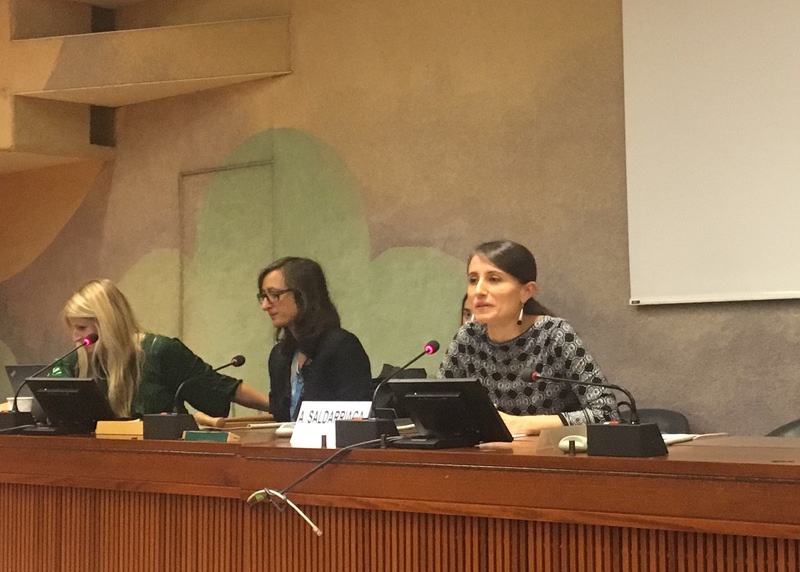 The OHCHR has been working on the ARP initiative since 2014 to address the challenges that victims of human rights abuses face when business enterprises are involved. 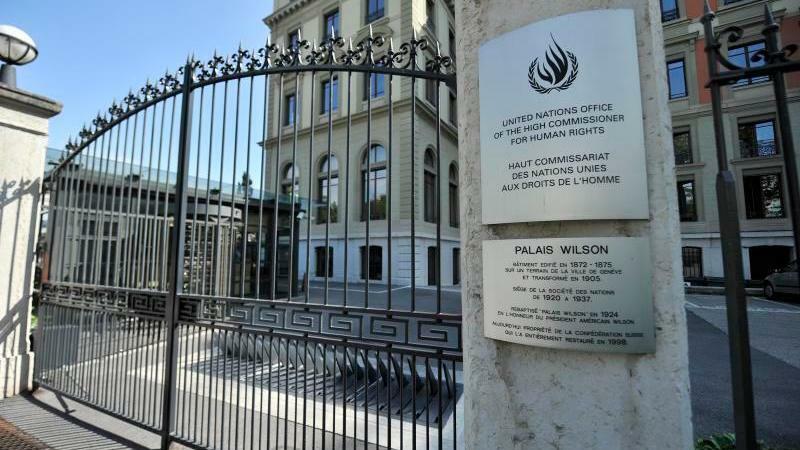 The ARP has received multiple mandates from the Human Rights Council to deliver rigorous and evidence-based guidance to States to improve implementation of the UN Guiding Principles on Business and Human Rights in the area of access to remedy, in particular, to ensure a more effective system of remedies in cases of business involvement on human rights abuses. The ARP initiative is important not only for the evidence and insights it collects on remedy but also potentially for the development of international law. This work remains a high priority for the new UN High Commissioner on Human Rights, Michelle Bachelet, and continues to be watched and appreciated by the Human Rights Council. In a 2015 submission for the UN Conference on Trade and Development (UNCTAD) Expert Meeting on “The Transformation of the International Investment Agreement Regime”, Andrea Saldarriaga and Andrea Shemberg argued that much of the criticism levelled against international investment agreements (IIAs) and Investor-State Dispute Settlement (ISDS) actually reflected much wider disappointments and frustrations with what international investment was delivering (or failing to deliver) to people globally. On 3 July Andrea Saldarriaga, Visiting Fellow at the Laboratory for Advanced Research on the Global Economy (Lab), hosted a delegation of representatives from the Chilean government, including both the Under-Secretary for the Economy and Business and President of the Social Responsibility Council for Sustainable Development and the Chilean Ambassador to the UK. The meeting addressed the Chilean National Action Plan on Business and Human Rights and explored possible avenues for effective implementation, including in the area of foreign investment. Dr. Jan Kleinheisterkamp, Associate Professor of Law at the LSE and Andrea Shemberg, Visiting Fellow at the Lab, attended to provide their expertise. 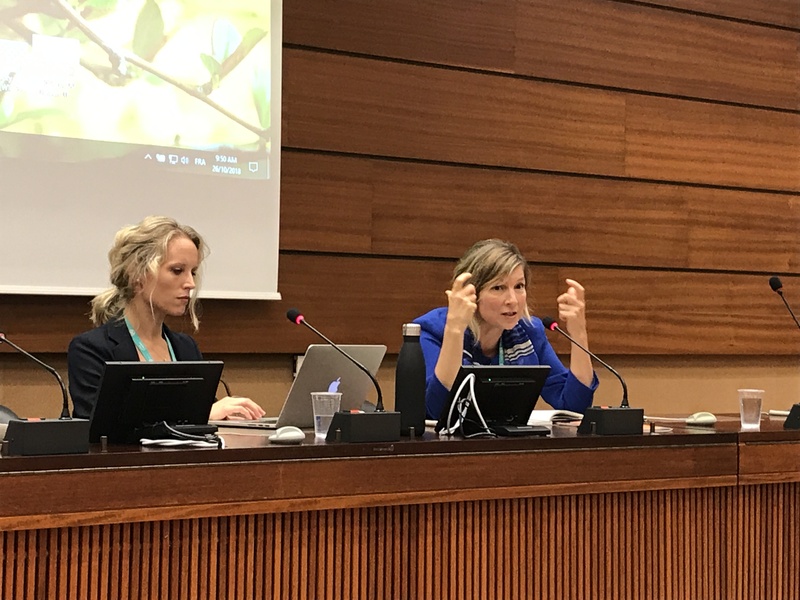 Other experts invited included Lise Johnson from the Columbia Center on Sustainable Investment, Suzanne Spears from Notre Dame Law School and Peter Frankental from Amnesty International UK. The meeting is one important piece of work that Saldarriaga is undertaking to build understanding around State implementation of the UN Guiding Principles on Business and Human Rights. 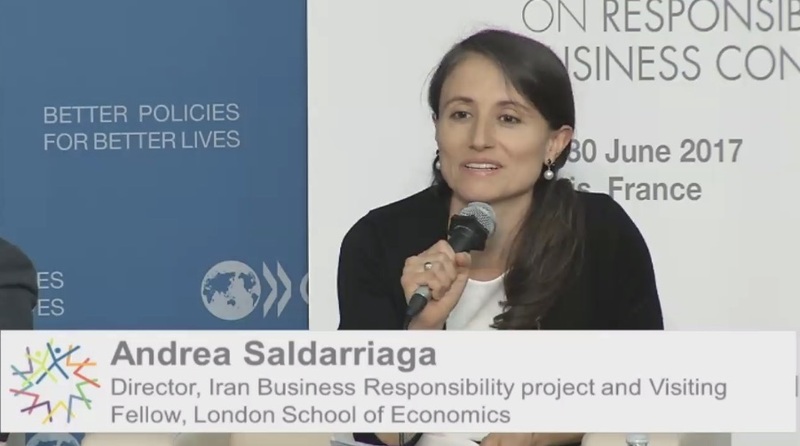 On 29 June 2017 Andrea Saldarriaga, Visiting Fellow at the Lab, spoke on a panel at the OECD Global Forum on Responsible Business Conduct about how to ensure responsible infrastructure development in Iran. Saldarriaga explained that the Government of Iran has identified infrastructure as one of the key areas in which it is seeking foreign investment. The government has identified what it calls an ‘urgent need’ to upgrade the country’s airports, rails, power generation, and water management. This is seen as critical to the country’s economic growth, and, as Saldarriaga highlighted, the imperative of infrastructure investment is magnified because infrastructure shortcomings have created bottlenecks that are thought to be driving away foreign investment in other areas. Yet companies investing in Iran will face a number of complex challenges to responsible business. While many are focused on sanctions, Saldarriaga highlighted risks that are receiving less attention but that are fundamental for people’s dignity and the viability of business ventures in infrastructure. These risks include, for example, the weak standards on occupational health and safety, where the rate of death from workplace injury in Iran is eight times the international average. Sixty percent of these deaths occur in the construction sector. 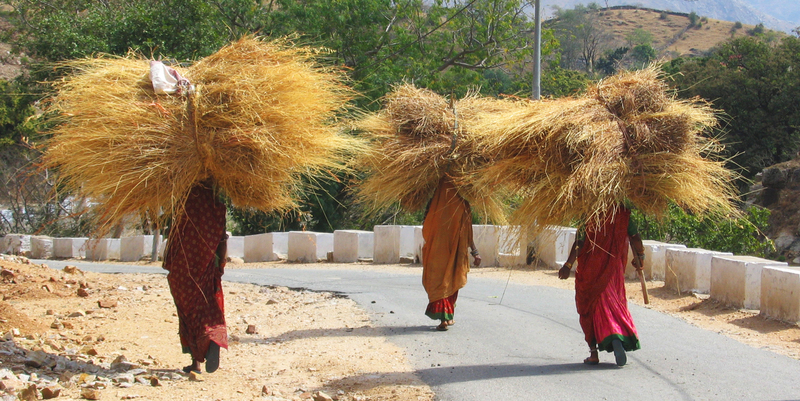 There are also a number of risks related to the vulnerability of workers in infrastructure development in a country where 1/3 of the workforce is in the informal economy – with no social security or protection – and around 90% of the formal workforce is on temporary contracts where labour protections are weakly enforced. 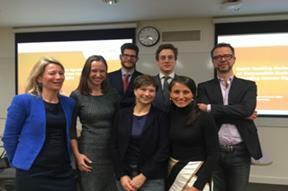 On 23 March, the Laboratory for Advanced Research on the Global Economy at the Centre for the Study of Human Rights in collaboration with the Law and Financial Markets Project and the Transnational Law Project hosted an evening discussion on Financial Institutions and Human Rights. The event attracted over 40 participants from banks, banking associations, law firms, students, academics and civil society. 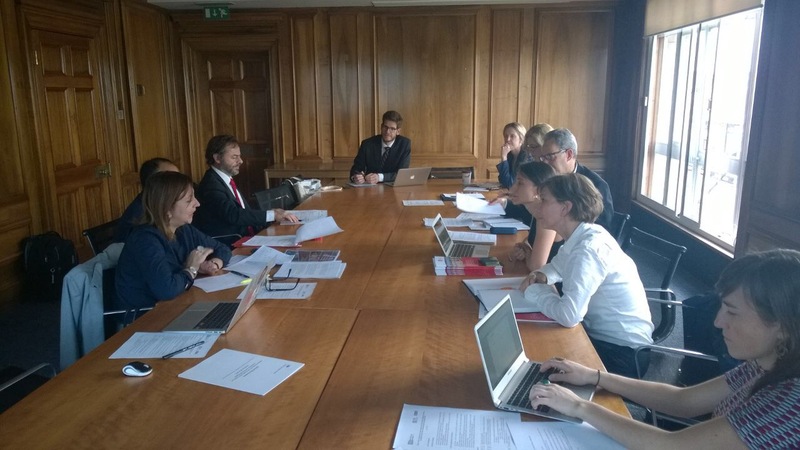 Andrea Saldarriaga moderated the discussion centred on the Dutch Banking Sector Agreement on human rights. Representatives from the Dutch Banking Association, ING Bank in the Netherlands and Standard Chartered Bank in the UK offered their insights on the agreement and whether such an initiative might make sense in the UK context. A lively debate followed, which was initiated by Dr. Philipp Paech, Andrea Shemberg and Dr. Jan Kleinheisterkamp.